This question came from a new restaurant owner looking for advice on restaurant equipment selection… Continue along to see the conversation and also feel free to click the link to check out the live answer I provided. This is one of my favorite websites I participate in. I’m in the process of picking the restaurant equipment for my restaurant and cannot seem to find any comparison research on the web to help me select between the manufacturer options. Is there a rule of thumb that you use in making your selections for restaurant equipment? 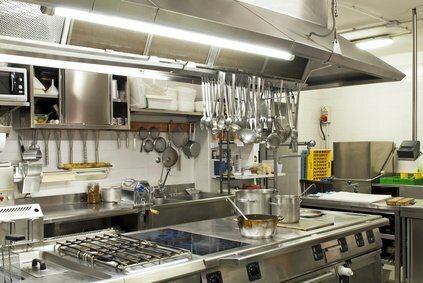 There are really no rules of thumb to determine what the best match is of restaurant equipment manufacturer for each project. There are several factors a consultant will consider wen making their recommendations for a project. I’ll list a few for you below in no particular order to help in your selections. 1. Cost: Budgetary constraints and requirements are always at the front of all specifications. There is no need to put a Ferrari motor in a Toyota frame. 2. Repairs: You always want to make sure that you can gain easy access to service and parts. Being in the US, that usually isn’t a great concern, but if you are say ordering a specialty Matcha Green Tea machine from Japan, parts may be a little hard to come by in a pinch. 3. Service: Can you easily find service support for your equipment? Again, usually isn’t much of a concern in the US, but the reputation of the service companies is. Ask around to other business in the area and evaluate the feedback. I used to spec a very well known espresso machine for several years because of the quality of the unit, but when the last two clients I provided this equipment too couldn’t get anyone to come out when they needed it, even after contacting corporate, that was enough for me to discontinue recommending that manufacturer, no matter how good it was. 4. Accessories and Options: I always tell clients to take a hard look at their concept and their culinary needs. If you desire to have a freshly made sausage on your menu, do you really need to buy a separate meat grinder for $3k, or can you get a meat grinding accessory for your mixer for far less. The answer lies in how many sausages you plan to make and if it will be an intricate part of your business. 5. Space: Lastly, you always want to make sure you have adequate room for everything you want. This is usually the more challenging of aspects. The range you want may fit under the exhaust hood, but most fire codes require 6″ of hood overhang surrounding all of your cooking appliances. You also have to be cognizant of fire egress codes and of course ADA requirements, which just updated not too long ago. I do commend you on your willingness to layout your own kitchen, but as I advise all of my clients, I would suggest you evaluate the amount of time you may need to spend putting this all together for your architect. Depending on the value you hold on your time, it may be more cost effective to bring in a kitchen consultant to help you make these decisions much more quickly. I’ve listed a few reputable firms below if you decide you would like some assistance.